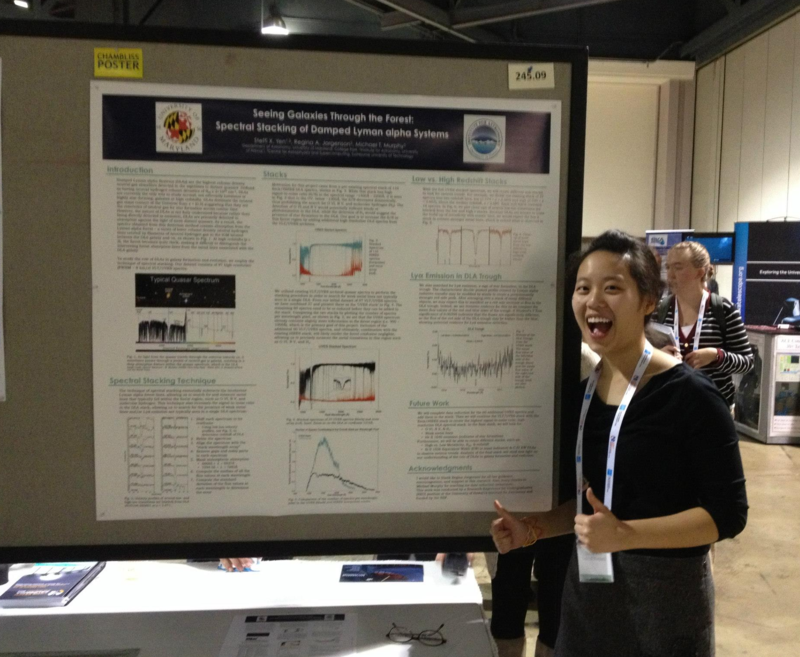 Steffi Yen, President of the Astroterps, won a Chambliss Honorable Mention for the poster she presented at the recent meeting of the American Astronomical Society. She presented research regarding Lyman-alpha galaxies. Her research was conducted over the summer during a REU internship in Hawaii. Congratulations, Steffi!